The portion, Tzav (Command), deals with rules of sacrificing, especially those related to priests. The portion mentions the commandment to donate the fertilizer, the gift offering, sin offering, guilt offering, peace offering, and the prohibition to eat animal fat. Tzav also mentions punishments for those who eat non-kosher meat, as it is written, “The soul that eats from it shall bear iniquity (Leviticus, 7:18). One who eats fat from the offerings, “The soul that eats shall be cut off from its people” (Leviticus, 7:25), and one who eats the offerings’ blood, “That soul shall be cut off from its people” (Leviticus, 7:20). Subsequently, the portion deals with the seven days of filling, and the inauguration of the tabernacle. The Creator commands Moses to assemble Aaron and his sons the priests, and the whole congregation at the door of the tent of meeting. Moses washes Aaron and his sons and dresses them with the clothes of priesthood. Moses puts the anointing oil over the tabernacle and all that is in it, and sanctifies Aaron and his sons, showing the priests—following the Creator’s command—what to do with the various organs of the offerings. The Korban (offering/sacrifice, from the word, Karov [near]) is the way to draw near the Creator. There is nothing but the offerings. Today we are in the worst state. There is nothing worse than this world and our current state. We must come out of that state and advance toward the Boreh (Creator), from the words Bo Re’eh (come and see). We will discover the Creator according to the changes and corrections in us because the upper force, namely the upper light, is in complete rest, and all the changes occur in us, as it is written, “I the Lord do not change” (Malachi, 3:6). Nearing the Creator depends on our qualities. Therefore, we must all change ourselves and correct all the negative and egoistic desires in us, according to the order the Torah narrates. 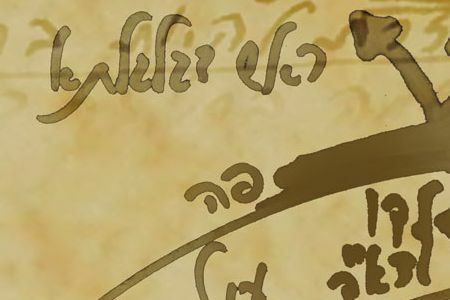 The word Torah comes from the word Horaa (instruction) how to correct our egoistic desires, turn them into aiming toward bestowal and love, and shift from unfounded hatred to absolute love. The bad global crisis is happening due to unfounded hatred among everyone. There is abundance in the world, but we cannot share it among us. We cannot establish social justice, connection, unity, and arrange ourselves and our lives better because of our characters, as it is written, “The inclination of a man’s heart is evil from his youth” (Genesis, 8:21). To correct the heart, which symbolizes our 613 egoistic, corrupted desires, we need the Torah. The Torah is the “light that reforms.” One who treats the Torah properly discovers one’s wickedness, as it is written, “The world was created only for the complete wicked or the complete righteous.” That is, we must discover that we are completely wicked, created with an evil inclination. Then, “I have created for it the Torah as a spice” because “the light in it reforms them.” Then we come to a state of complete righteous. This is how we must see it.